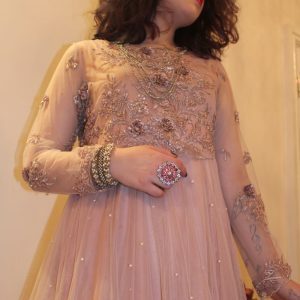 A vivid hot pink A-line jacket dress with lovely hand embroidery and embellishment with beads & stud work. 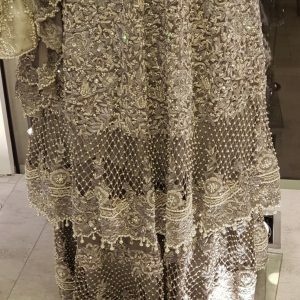 The dress has an elegant detail of tassel lace work along the daaman which beautifies the dress. 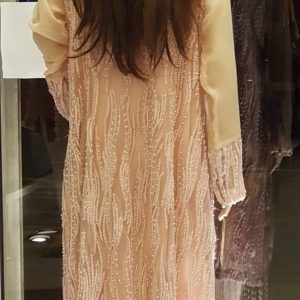 It is combined with a raw silk inner shirt and straight trouser with delicate lace work along the daaman & trousers bottom. 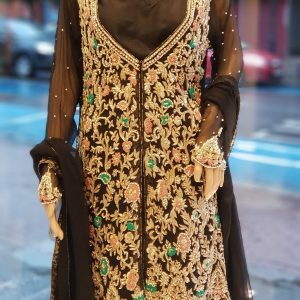 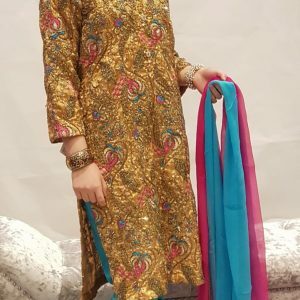 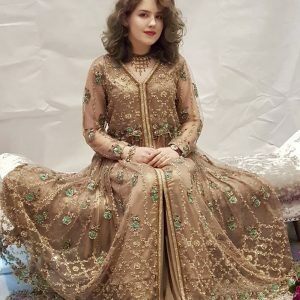 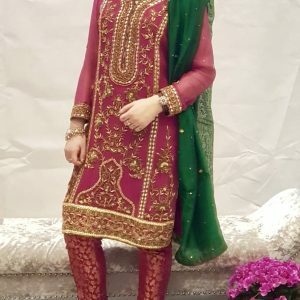 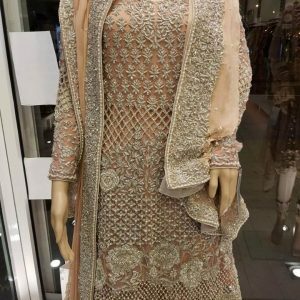 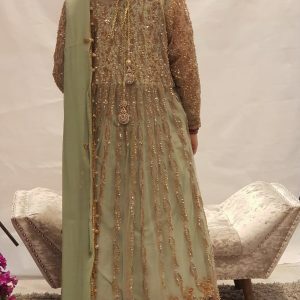 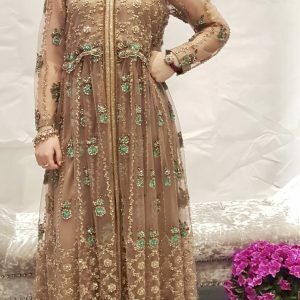 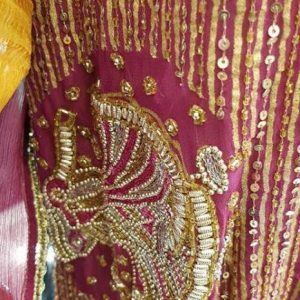 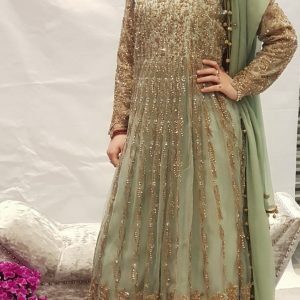 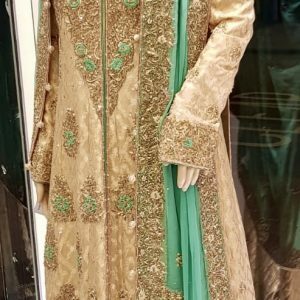 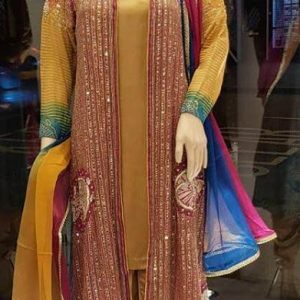 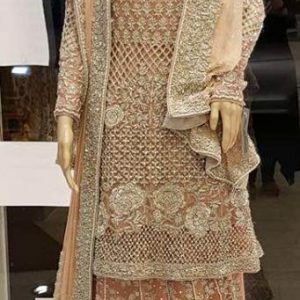 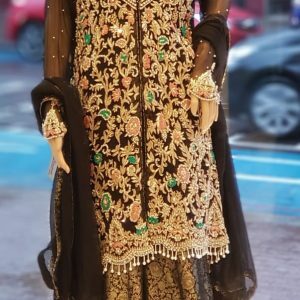 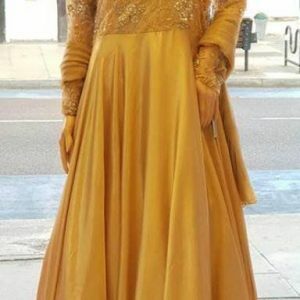 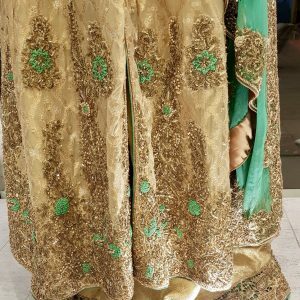 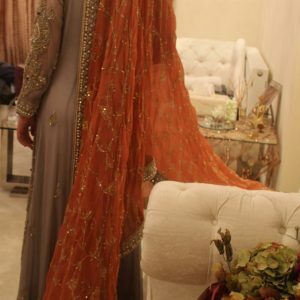 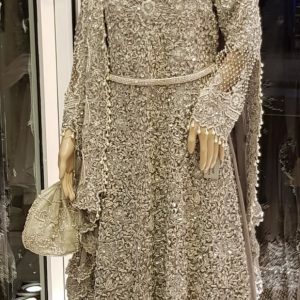 To finish the look a pure chiffon dupatta is added.